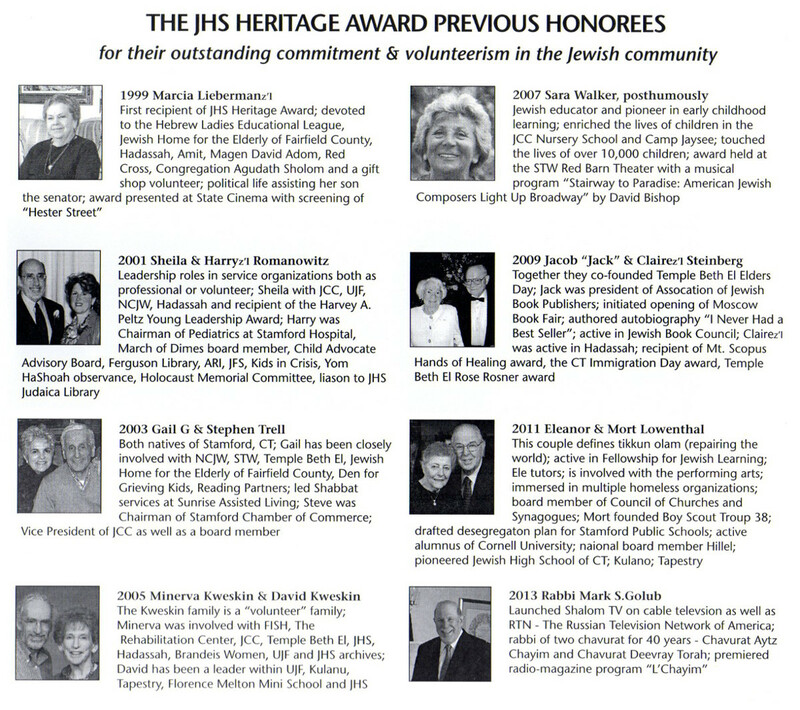 The Biennial JHS Heritage Award, was created in 1990 to acknowledge those persons of unique and significant accomplishment, earned over many years of devoted service to our Jewish community. In particular, we seek to honor members of our community who have distinguished themselves through service that advances our Jewish heritage. The Award Celebration is an opportunity for the wider community to learn more about the Jewish Historical Society and join us to celebrate by recognizing those who, through their depth of dedicated commitment, strengthen our community and heritage. and The Federation of Jewish Philanthropy of Upper Fairfield County.